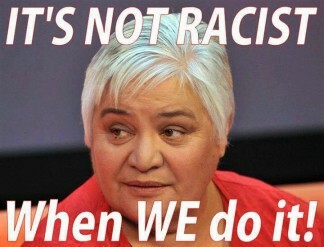 When defending democracy is described as racism, all New Zealanders must know that their democracy is in grave danger. After TVNZ’s Seven Sharp aired a segment on the abuse New Plymouth mayor Andrew Judd received for proposing a Maori ward for local government councils, Mike Hosking added his own two cents’ worth. “I’d never personally attack him obviously but sad to say he’s completely out of touch with middle New Zealand. There’s nothing wrong with Maori representation on councils because any Maori that wants to stand for a council is more than welcome to do so and they can sell their message and if they’re good enough they’ll get voted on,” Hosking said. In a statement Radio New Zealand received from TVNZ, a spokesperson for the broadcaster said a formal complaint [of “racist” remarks] had been laid against Hosking and a committee would review the complaint in the coming days. 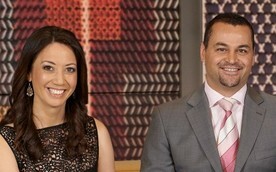 Hosking’s comments have also been condemned by his own colleagues Miriama Kamo and Scotty Morrison on TVNZ show Marae. Pictured below are the media’s moaning micro-Maori monstering Mike over his comments on democracy. It’s worth noting how inaccurate the 2016 media reports are on this. Muddy-brained Mayor Andrew Judd did not propose a Maori ward. He voted for one! One perspective is in an older story from 2014. New Plymouth councillor John McLeod sensationally resigned moments after a the creation of a Maori ward was passed by the council. The councillor handed in his resignation mid-meeting, after the council voted seven to six in favour of establishing a Maori ward for the 2016 local body elections. Mayor Andrew Judd, deputy mayor Heather Dodunski, and councillors Shaun Biesiek, Gordon Brown, Craig McFarlane, Marie Pearce and Howie Tamati voted in favour of a Maori ward. Click here to be transferred to 1Law4All’s earlier item on this storm in a teacup. The full Stuff story is here.